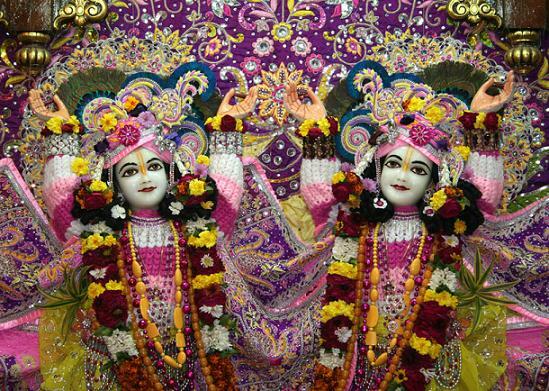 "'I offer my respectful obeisances unto Sri Krishna Caitanya and Lord Nityananda, who are like the sun and moon. They have arisen simultaneously on the horizon of Gauda to dissipate the darkness of ignorance and thus wonderfully bestow benediction upon all.' This material world is a dark well of ignorance. The fallen soul in this dark well must take shelter of the lotus feet of Gaura-Nitai, for thus he can easily emerge from material existence. Without Their strength, simply attempting to get out of the clutches of matter by speculative knowledge will be insufficient."